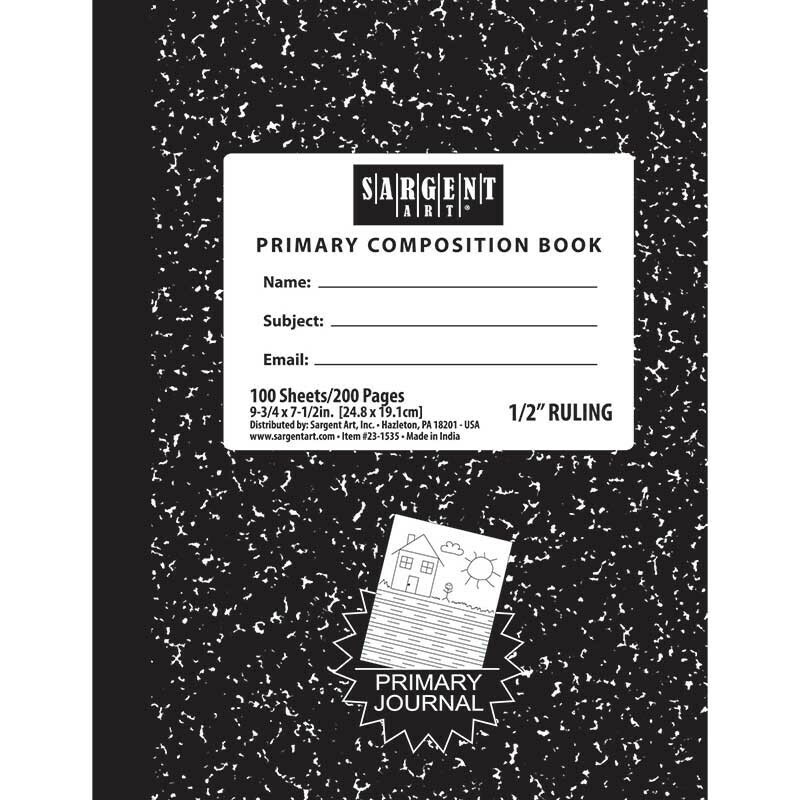 From dkclassroomoutlet.com a picture of a composition notebook. The one I had did not have any labels or writing on the front. I really wish I still had that notebook. I really had a thing for fastbacks, the more outrageous the better. I went crazy (yeah I know, how could anyone tell?) when the first Dodge Charger was introduced for the 1966 model year with its extreme fastback design. No doubt exists, however, that the Mustang was far more popular. Both were introduced in April, 1964 as “1964 1/2” model year cars with a shortened production run given the annual changeover around September. Barracuda sales were a little over 23,000 for the ’64 1/2 models while Mustang sales were almost 127,000 for the same time period. The fastback rear window for the first Barracuda was over 14 square feet and was the largest ever installed on a production car at that time. That window was very distinctive and is almost certainly the defining part of the car’s exterior design. I believe that the base engine for the Barracuda was the inline Valiant six-cylinder of 170 cubic-inch displacement, rated at 101 HP/155 LB-FT of torque. A larger (225 cubic inches) 145 HP/215 LB-FT six was also available as was a 273 cubic-inch V-8 that I think could be equipped with either a two-barrel or four-barrel carburetor. Barracuda sales totaled about 65,000 for the 1965 model year, but Mustang sales were over 559,000! The Mustang had a de facto monopoly on this market segment until General Motors introduced the Chevrolet Camaro and Pontiac Firebird for the 1967 model year. Anyway…I was smitten with the first Barracuda and used to tell my father, who was a mechanic and in charge of a gas/service station, that I wanted one for my first car. He was not a fan of Mopar (or Ford), but didn’t say too much in opposition. I mean, this was maybe ten years before I could get a drivers license. I don’t know when these cars fell out of favor for me. 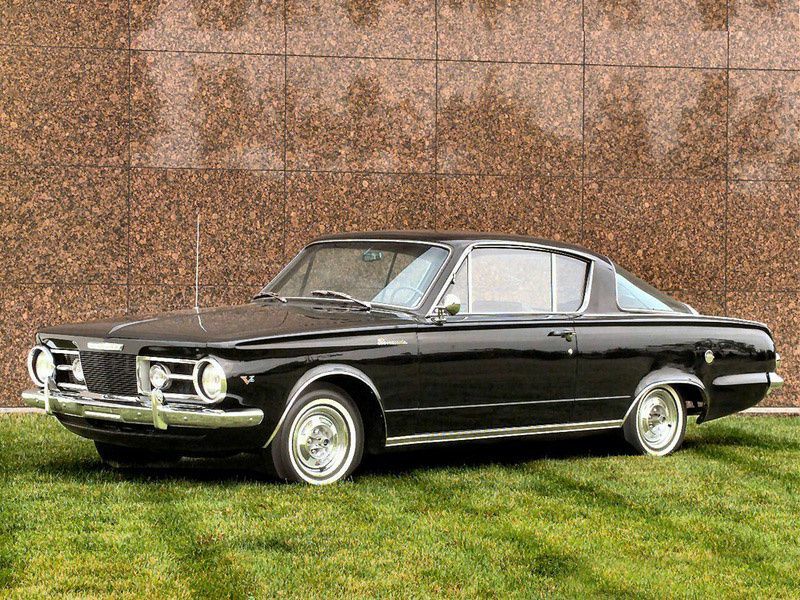 I now much prefer the second generation Barracuda, particularly the hardtop “notchback” coupe. Oh well, the first generation Barracuda will always be my first car crush and for that it’s worth remembering. Not that anyone besides me really cares, but I have posted 39 days in a row. The odds are I will not post on Saturday or Sunday. If anyone wants to write a guest post I’ll be happy to use it and, obviously, give credit. Remember that Facebook and Google are evil. Please don’t let them take control of your life. I like your choice but surprised it was not a Rambler /AMC Marlin with only a little over 17,000 built in 3 years.. Thanks, C/2. The heart wants what it wants. When I was 5-6 years old I wanted a Barracuda.